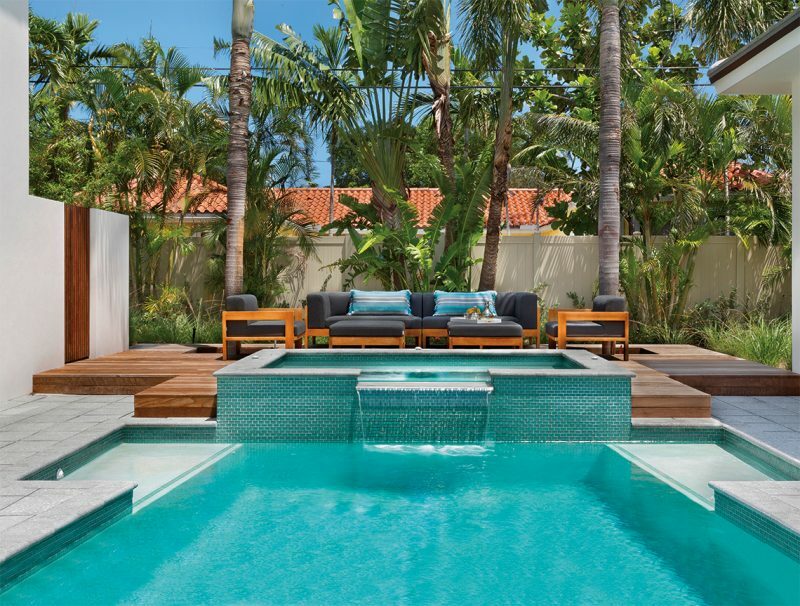 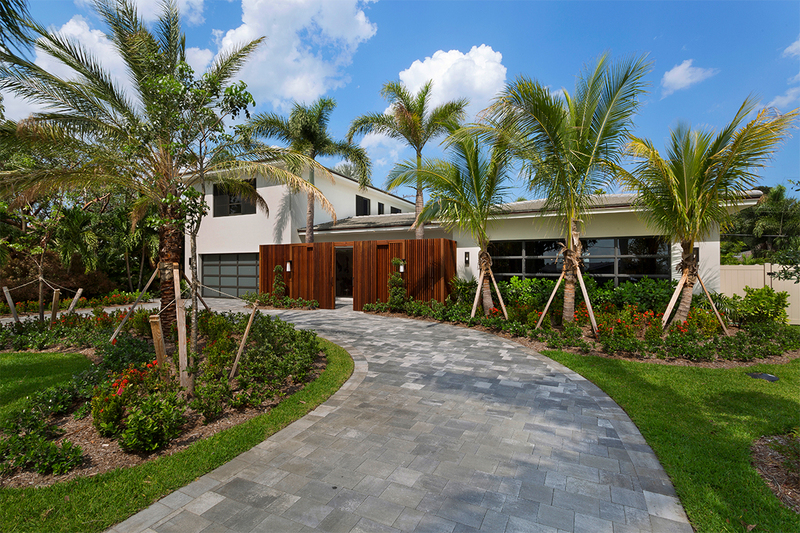 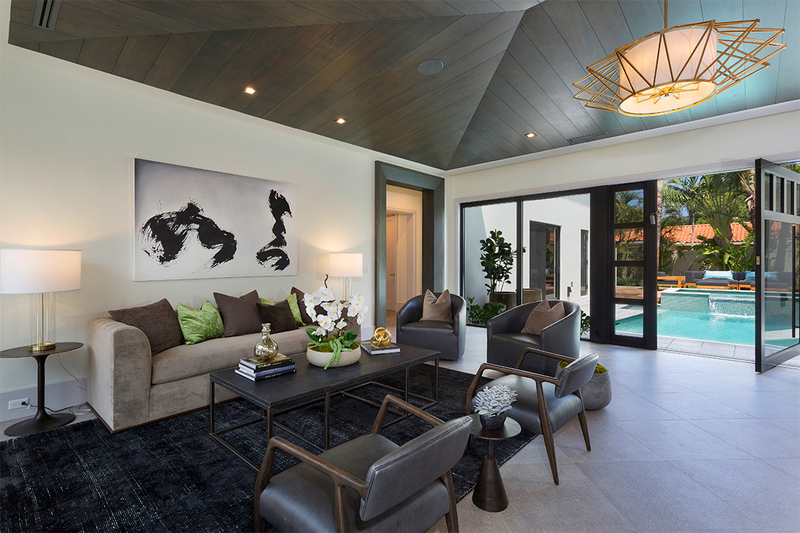 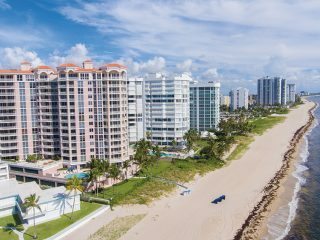 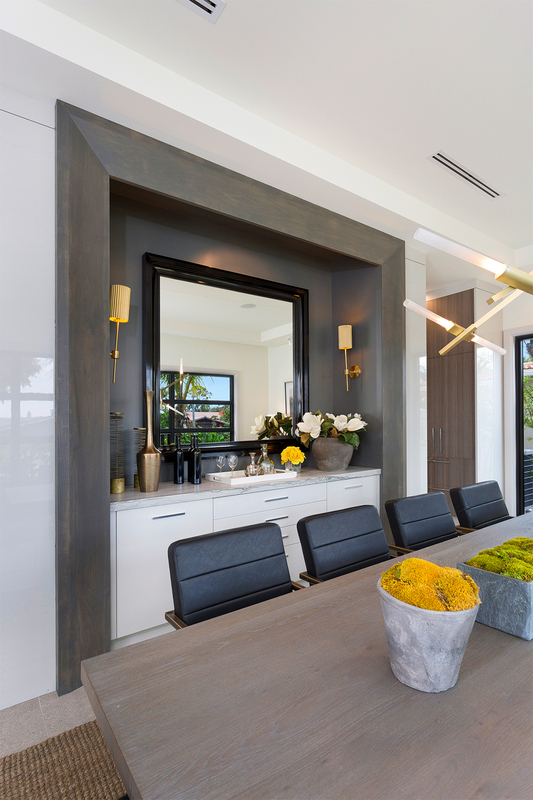 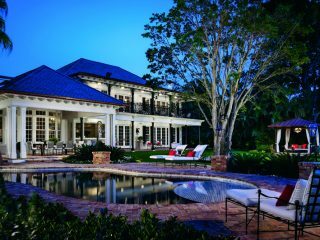 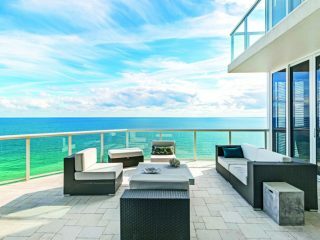 This open format estate nestled in Coral Ridge embodies contemporary design and a Zen-like environment. 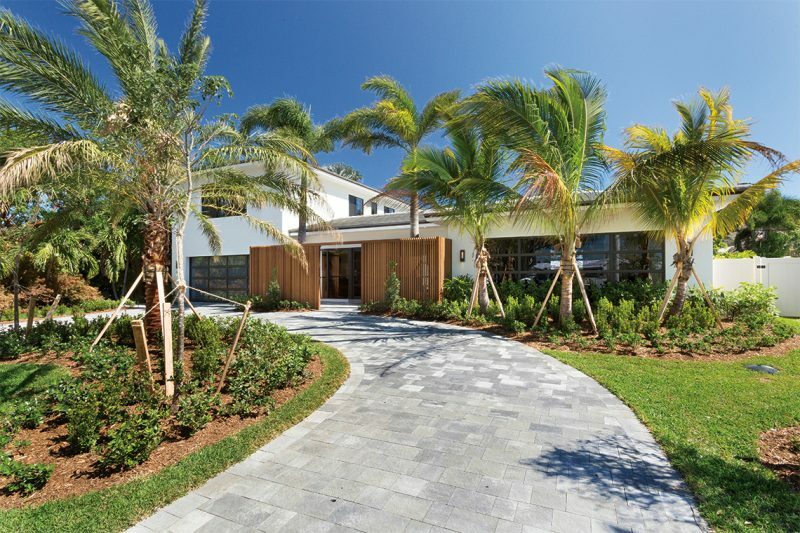 This modern oasis exudes chic elegance while taking advantage of Middle River Drive’s tranquil qualities. 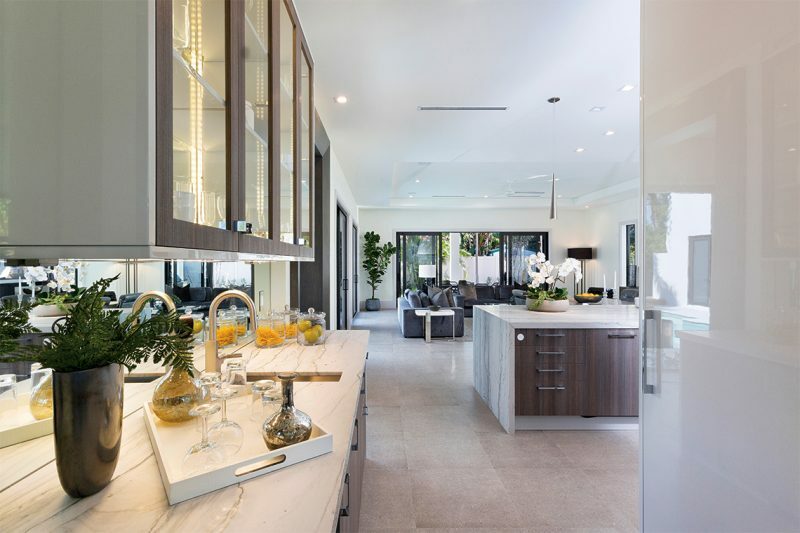 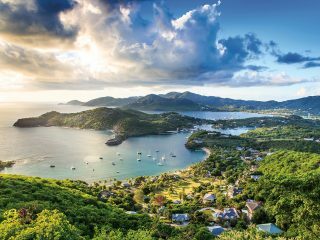 The 4,512 square-foot home features four bedrooms and 4.2 baths. 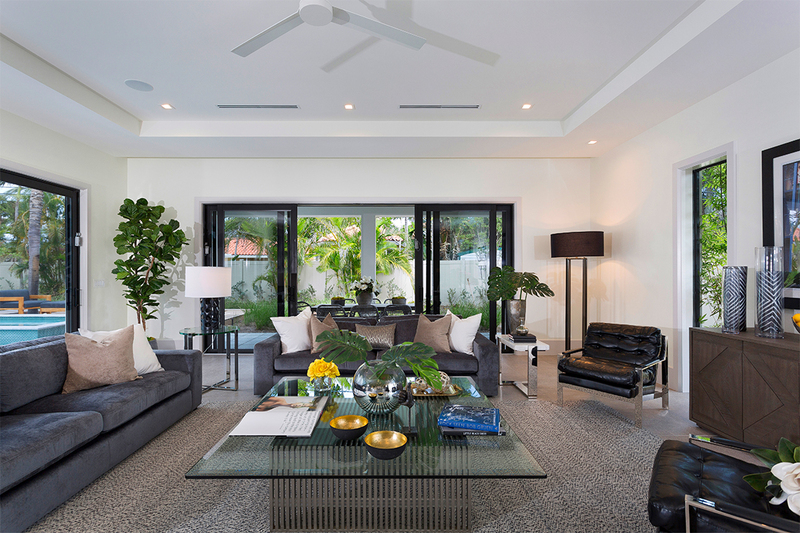 Interior designer Matthew Quinn was behind much of the decor, and each room offers a clean and crisp contemporary look. 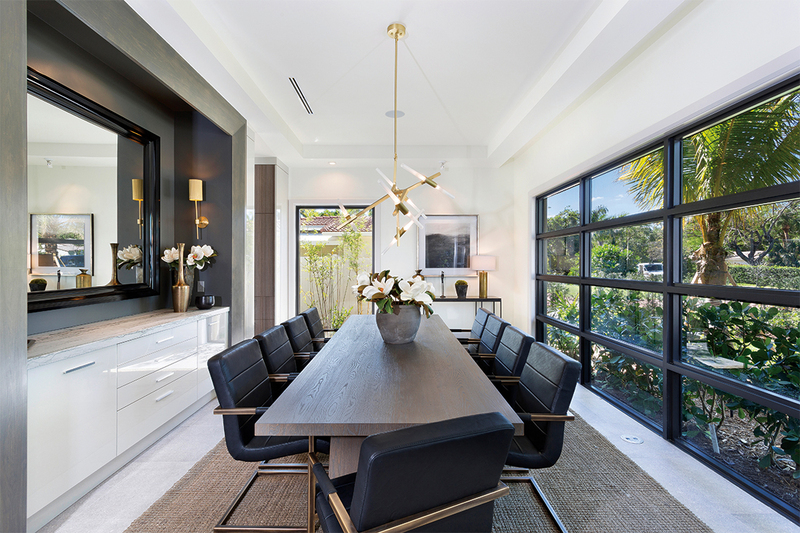 Simple yet elegant are choices such as the designer light fixtures, the wooden staircase, the neutral color palette and the statement décor pieces throughout. 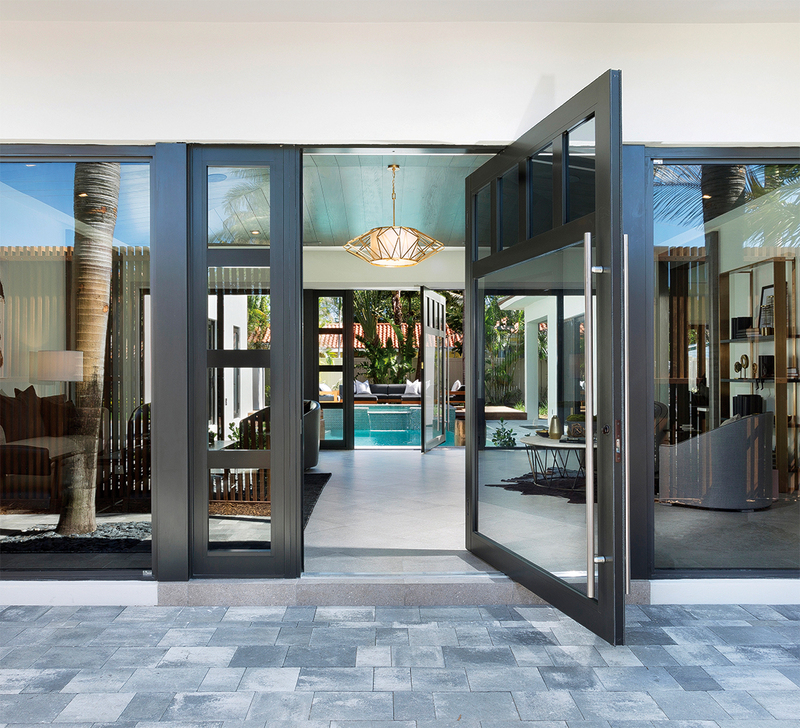 Perhaps the most enticing detail of the home is the six-foot-wide glass pivot entry doors at the front and rear of the open living room. 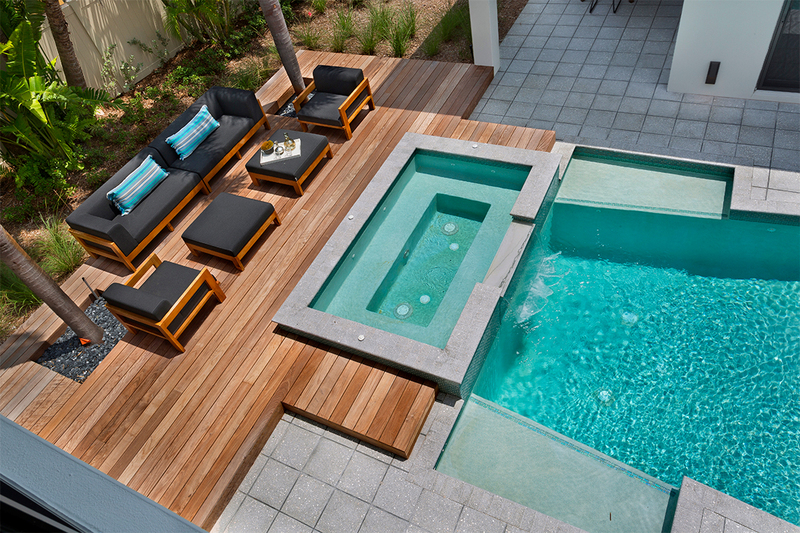 Because the home was designed around the spa-like pool, each room has direct views to the outdoor patio. 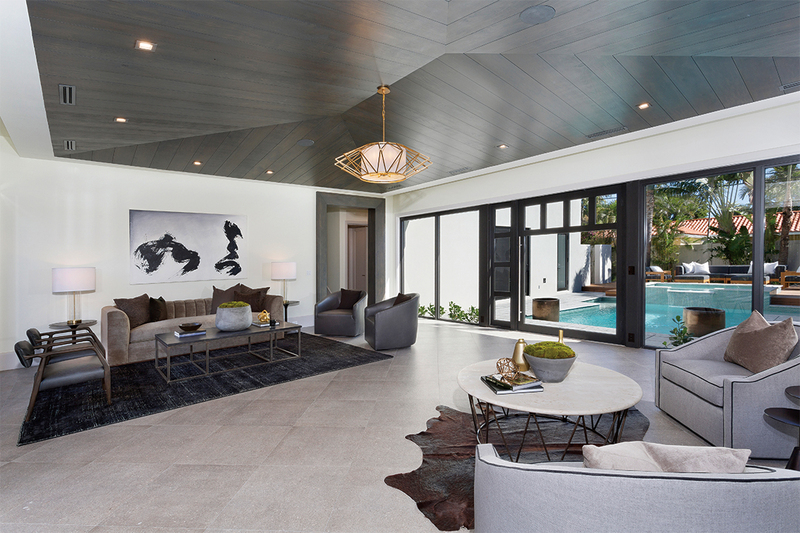 One wing houses the expansive family room, state-of-the-art kitchen and formal dining room. 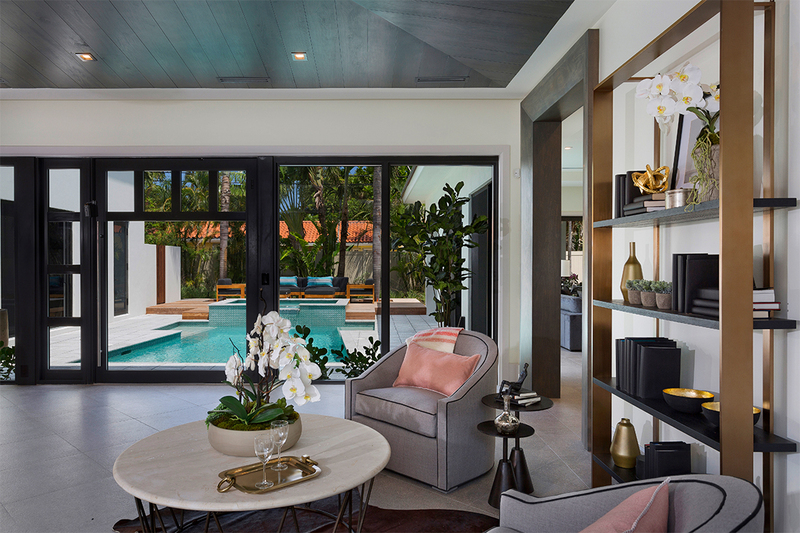 In the other direction, the master suite on the first floor features a custom closet with barn door entry and sliding glass doors to the heated pool area. 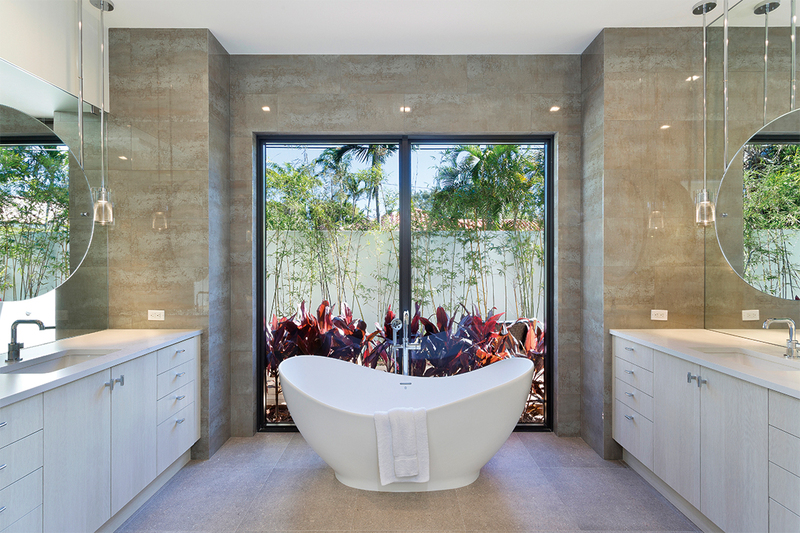 The ensuite bath includes a stunning freestanding designer soaking tub and walk-in glass shower. 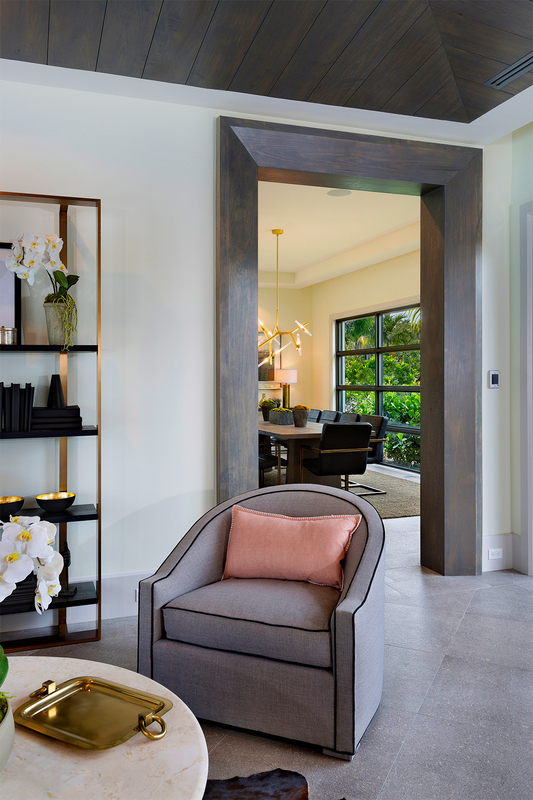 Walking past the laundry room and powder room, you’ll find the wooden staircase leading to the junior suites and second laundry room. 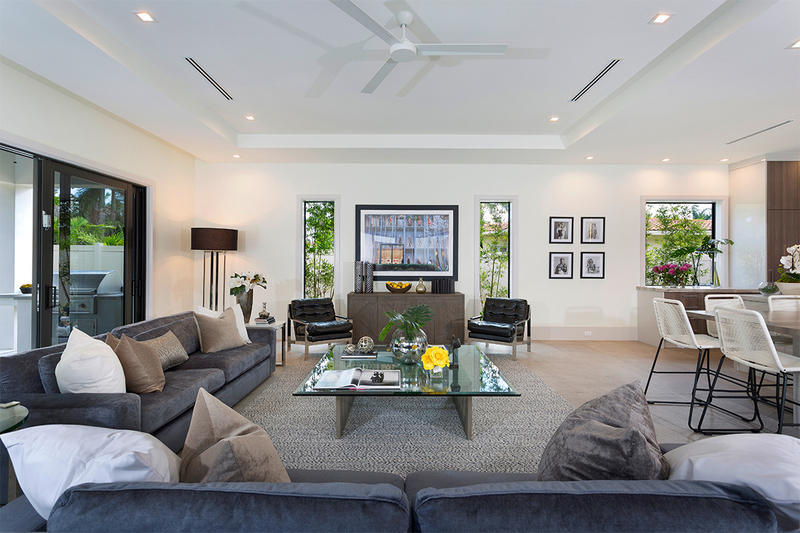 Each smaller bedroom includes an ensuite bath with floor-to-ceiling tile and custom closet.